My daughter's church has a sweet tradition for greeting visitors. 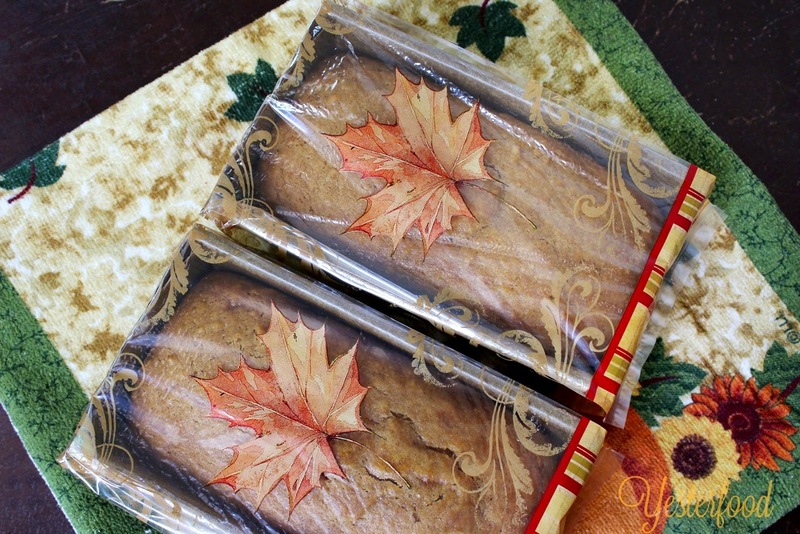 Each visitor is given a small loaf of some kind of treat, such as banana bread or pumpkin bread. My daughter had volunteered to bring a few loaves last Sunday, but realized that she wasn't going to have time after all. She asked me if I would make some little loaves for her, and I decided to give visitors a real southern welcome with sweet potato bread. This bread is tender and moist, and has a pretty golden-orange tint to it. 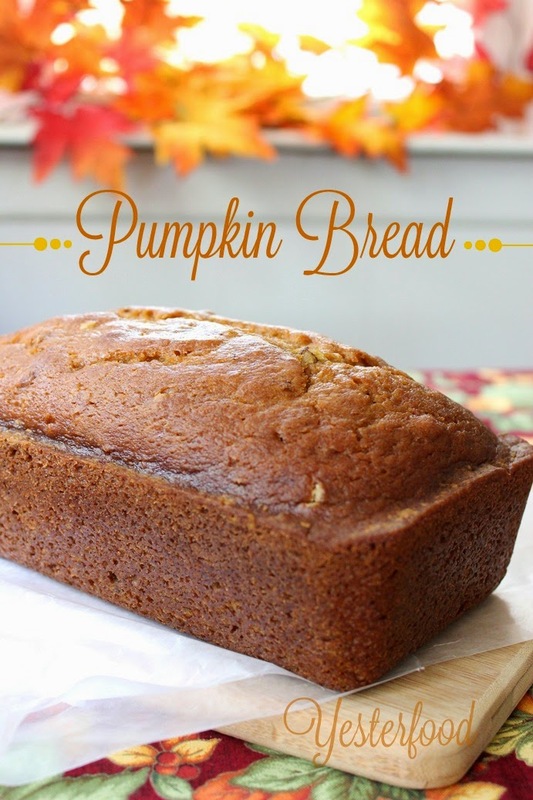 It may remind you of pumpkin bread, but it has a sweet, warm flavor all its own. 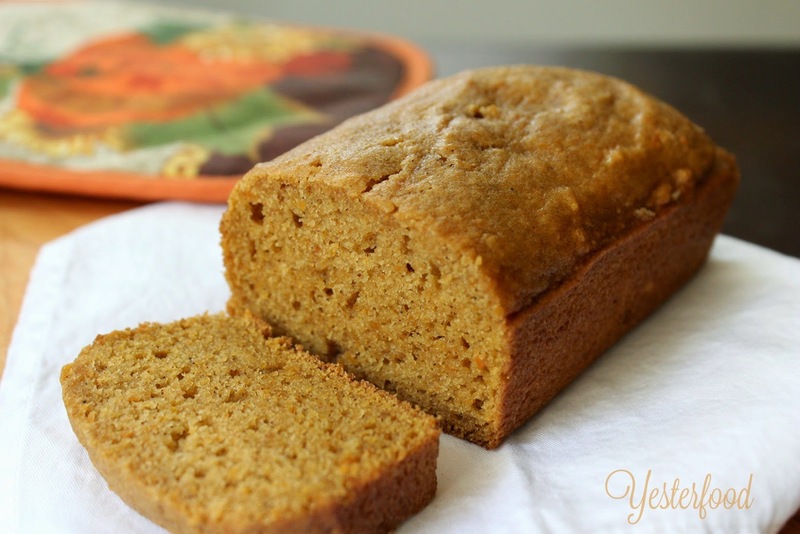 Autumn spices work beautifully with sweet potato- you'll want to put Sweet Potato Visitor Bread on your fall baking list! 1. Preheat oven to 350 degrees. Spray four 2.75" X 6" loaf pans with cooking spray. Set aside. 2. In a medium bowl, combine flour, soda, cinnamon, baking powder, salt and nutmeg. Whisk to combine. Set aside. 3. In a large bowl, combine sugars, butter, and oil. Stir vigorously until well combined. Add eggs and sweet potato and beat until smooth and well-combined. 4. Stir flour mixture into sugar mixture alternately with water, beginning and ending with flour, stirring just until combined. Pour batter into prepared pans. 5. Bake for about 36 minutes, or until toothpick inserted near center comes out clean or with a couple of moist crumbs attached. Let cool on wire rack for 15 to 20 minutes, then remove from pan to cool completely on wire rack. Store tightly covered. If you are using disposable pans like I did, just let the loaves cool completely in their pans, leave them in pans and wrap well in plastic wrap, foil, etc. Cook's notes: to prepare the sweet potatoes, prick whole, unpeeled sweet potatoes and microwave until soft. Let cool and scoop flesh out of skins and into bowl. Mash well with fork, then measure. Oven-roasted sweet potatoes would have an even nicer, richer flavor. Sweet Potato Visitor Bread may have been shared at some of these fun parties. OH. MY. GOODNESS! Yep, so making this! I want to be at your house. I bet it smells amazing after baking this Sweet Potato bread. YUM! I love that you found the cute baking pans. They are so much prettier than the tin ones. Thanks for sharing! I will definitely share today and this weekend. I LOVE sweet potatoes! I can't wait to try this. Grampy is really big on any kind of cake type bread so I know he will love it, too! Thanks, Joy! Joy, this looks so good! Do you think yams would work? I've been wanting to make sweet potato muffins or breads. This one looks perfectly moist. Sharing! Beautiful pictures Joy. You captured fall in all its cozy glory. Sharing :) and I will be trying this one too. Sounds delicious! i love the taste of sweet potato in baking, definitely going to be making this recipe. loving the sound of a sweet potato bread. Oh my goodness, Joy, sweet potato bread? How fabulous and I've never tried it before! The tradition of bread for visitors is just beautiful - I love it! :) Pinning and sharing. Hugs! Fall is in the air with your photos…so ready! Yum…these sound so delicious…never had sweet potato bread. My littles would eat this sweet bread up! Thanks for sharing on Show-Licious! sound delish! I will add this to my must make list for sure. I think I may have tried a similar sweet potato bread but I am not sure how it was made, now I do! This bread looks just delicious. Oh Wow. I usually get stuck on just making sweet potato biscuits and pie. I will have to add this goodie to the rotation. YUM! 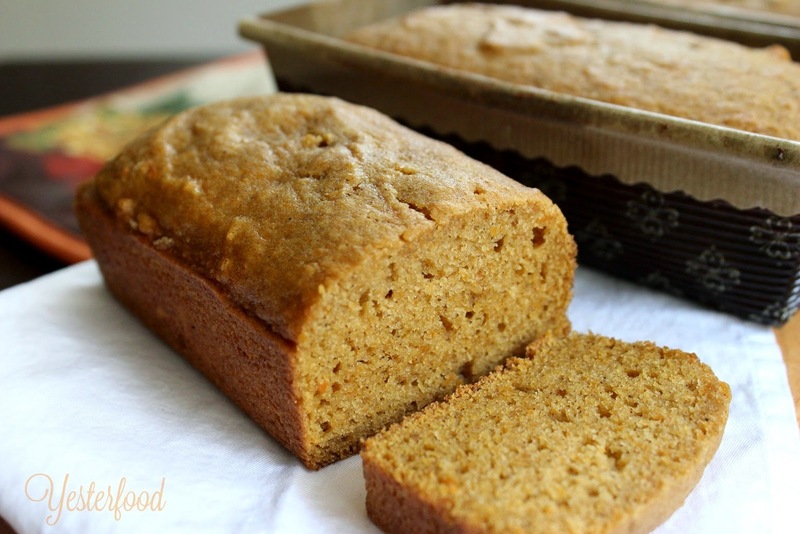 I love all things sweet potato and would absolutely love to devour this bread!! What a sweet tradition and what a delicious looking bread! I've never heard of it before, but now I want some! YUM. I would love to be one of the visitors to get a loaf of this bread! Your recipe sounds great! Pinned! Oh my...this looks amazing...what a kind and sweet gift for visitors. Thank you for sharing at Party in Your PJs...pinning now! This bread looks so amazing and I never had this before, I bet it taste amazing. Thanks for sharing this nice recipe with us all. Have a nice day and week. Yum! Pinning this! Want to come over and link up? Im back on the blog! Mississippi is known for its sweet potatoes, will be making this. What a great way to greet visitors ..... I want to be a visitor! :) I love the color of the bread and I can almost smell it as it bakes! Have a great long weekend, Joy! Hugs! What a nice treat for visitors. I think I'd be coming back often if I could get some of this bread. Found you on The Southern Special. 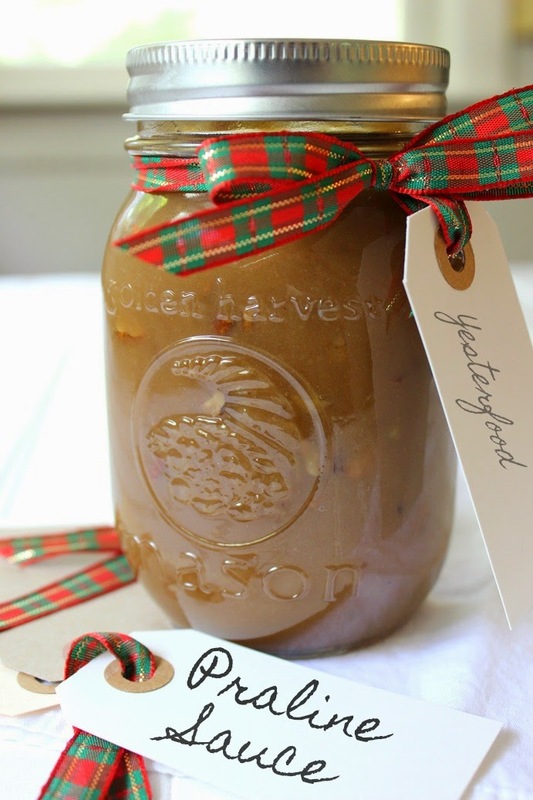 What a great idea for a visitor gift and a great recipe. I will be passing this idea and recipe along to our church hostess, thanks. Hope you are having a great Labor Day Weekend and thanks so much for sharing your awesome recipe with Full Plate Thursday. 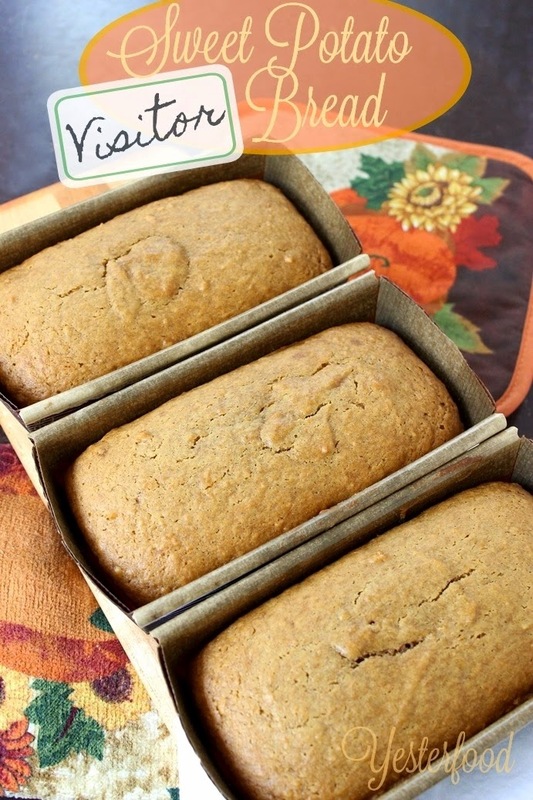 I going to try baking with sweet potato this autumn, these mini loaves look great! Thanks for linking up to Sweet and Savoury Sunday, stop by and link up again. Have a great day!! I love sweet potatoes, but have never tried making bread. Can't wait to try it! Thanks for sharing the recipe with SYC. And where exactly is your daughter's church? Would love to receive this! Thanks for sharing with Foodie Friends Friday. Hope to see you again this week! Bet my hubs would love this!! Pinning it! Sounds delicious! I love how they are wrapped too! Thanks for sharing @DearCreatives Inspiration Spotlight party! I've never heard of Sweet Potato Bread! (It must have something to do with being from New York! ;) ) Anyway, this sounds amazing! I love the idea of visitor bread, too! Thanks for sharing with the From the Farm Blog Hop! I hope you'll be back to visit us soon! I'll be sharing a link to this recipe in an upcoming post featuring "fabulous fall desserts." It's too yummy to keep quiet! I can almost smell this from here Joy! Pinned and shared!